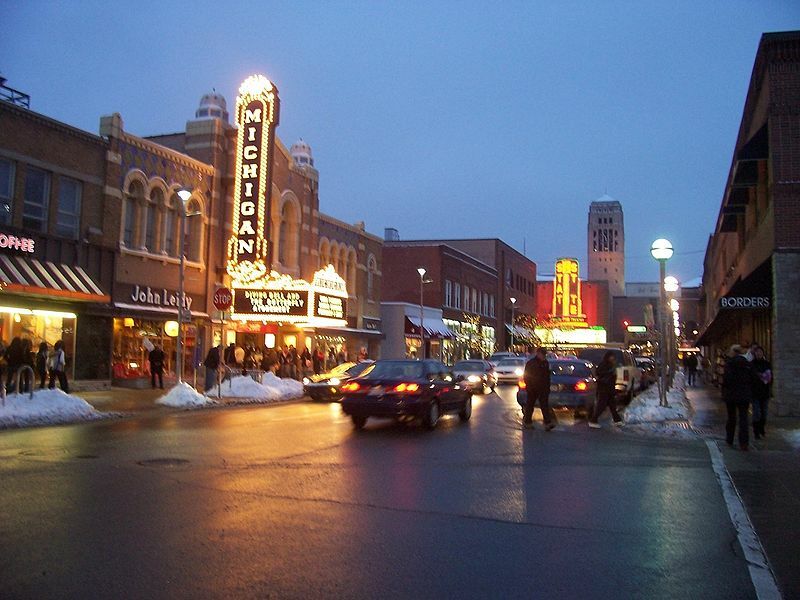 One of America's most famous college towns is Ann Arbor, Michigan (population just over 115,000). 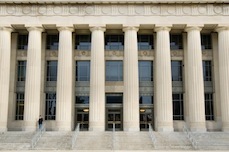 It is home to the University of Michigan, whose 40,000 students dominate the town (in a nice way) culturally, economically, and demographically. The city is biking-friendly as many people who live are here are concerned with the environment.